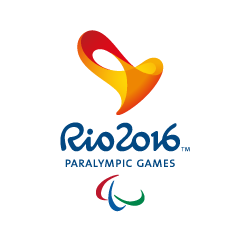 The opening ceremony for the 2016 Paralympic Games will be held today in Rio and then the competition gets underway. Offaly Sports Partnership wishes all 48 members of the Irish team the very best of luck. It is great to see that there is an Offaly interest in the Games this year. James Nolan from Screggan, himself, a two time Olympian (Sydney 2000 and Athens 2004) will manage the ten person Irish athletics team. Under James' leadership, this team has gone from strength to strength since the London Games. Francine Meehan from Killurin won two medals at the London Games where she was a pilot cyclist for Catherine Walsh. Offaly County Council honoured these cyclists with a civic reception after the London Games. This year Catherine and Francine are taking on a new challenge and will compete in the triathlon. Francine will act as Catherine's eyes for the gruelling event and will guide her in the swim, cycle and run. The Women's triathlon is scheduled for Sunday 11th September at 11:20am local time (3:20 pm here in Ireland). 14 year old Nicole Turner from Garryhinch is probably the youngest member of the Irish team, and is likely to be the busiest in the coming ten days. Nicole is scheduled to take part in six swimming events. If she makes the final in all, which is highly likely, she will be in the pool twelve times in the next ten days.